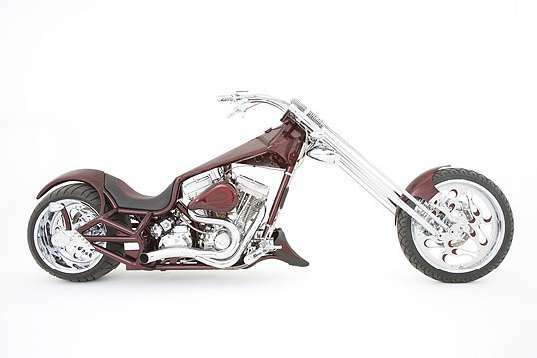 The Bourget's Retro Chopper is no longer in production, the information here is strictly for your use should you be looking to purchase a used model either from a Bourget dealer or an individual. 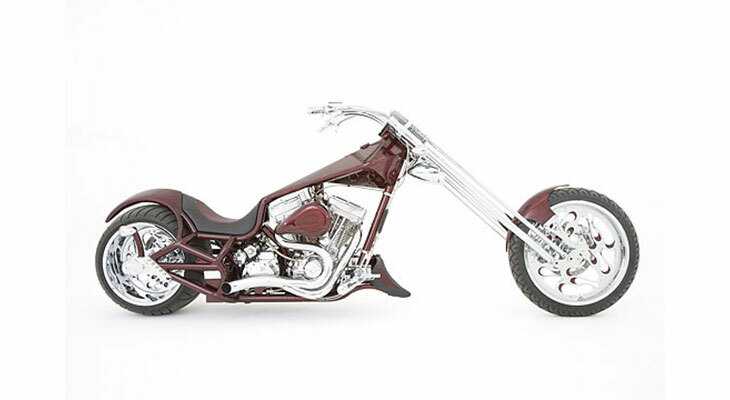 The Retro Choppers were a limited production model first built in 2001 and the last production models were produced in 2008. 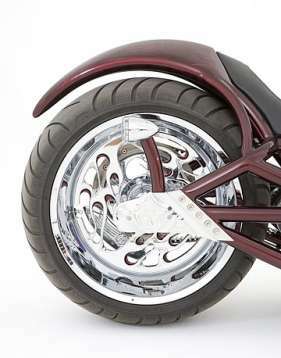 In addition to the standard Retro Choppers there were 12 Limited Edition numbered T6 Billet Retro choppers which consisted of a complete aluminum chassis, tank & rear section with polished frame & sheet metal. 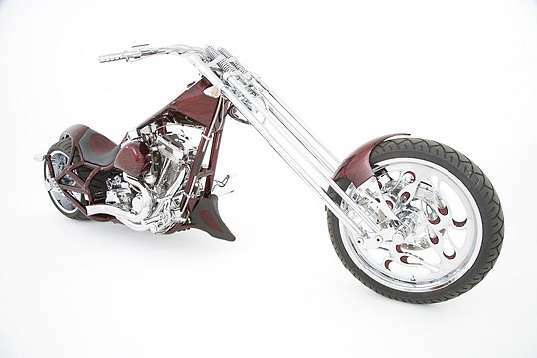 Retro Chopper models were not approved for sale in Canada. 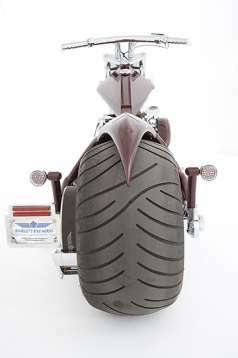 The Specifications listed below are typical specifications for the STD steel frame Retro Choppers. 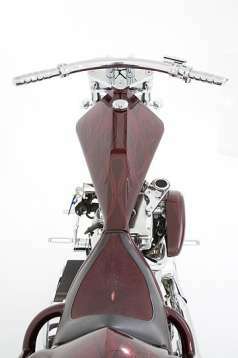 Please keep in mind as with all Bourget motorcycles, they were built to order and customized to meet the needs of each individual buyer. 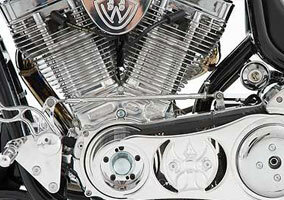 Units you find for resale may or may not be built to these exact specifications. 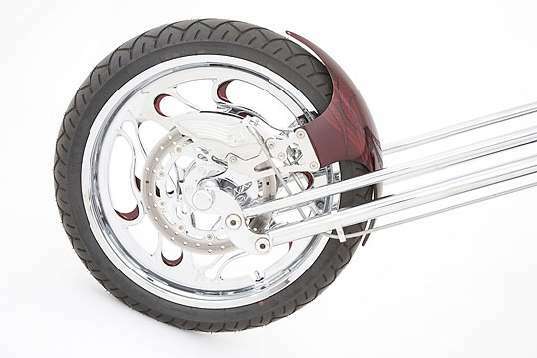 If you are purchasing a Retro Chopper from an individual or a non-Bourget dealer, we always recommend purchasing the Bike Facts to verify the specs on the bike when it was built versus its current condition. 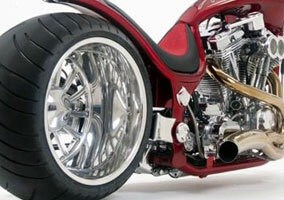 Please see the Bike Facts page for more information.